Jayme Miller takes a photo of John and Kerry Loewen in front of the Amtrak Exhibit Train that was on display in Whitefish on Aug. 15 and 16. The five-car train is led by an histoic diesel locomotive and features aritacts from Amtrak’s 44-year history. The train travels the country and makes stops like this one about two dozen times a year. 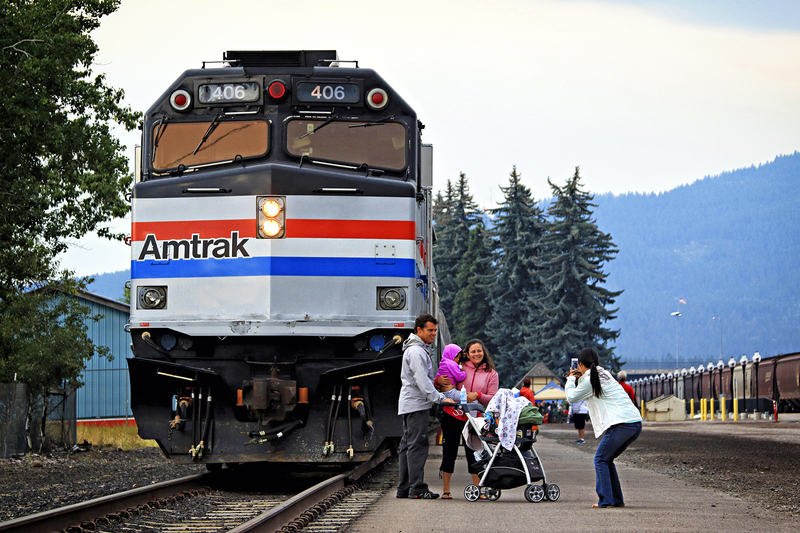 Amtrak spokesperson Rob Eaton said the railroad wanted to bring the train to Whitefish this summer to thank the community for supporting the Empire Builder. “We want to reinforce our commitment to this community,” he said. Justin Franz | Flathead Beacon.